(1964) Guy Madison, Nadia Gray, Rik Battaglia. 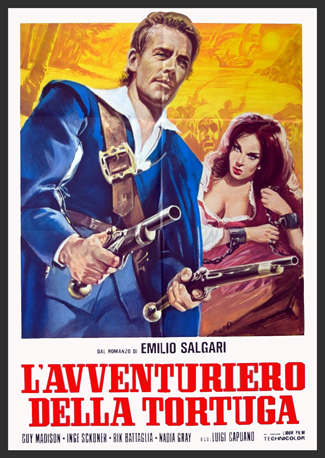 In the New World, a rugged pirate leader and a corrupt governor vie for the affections of a beautiful Indian heiress. She falls in love with the pirate and together they annihilate the governor and his forces. Color, 16mm.